Worked perfectly after pressing the "channel" button some times before pressing "Source"! 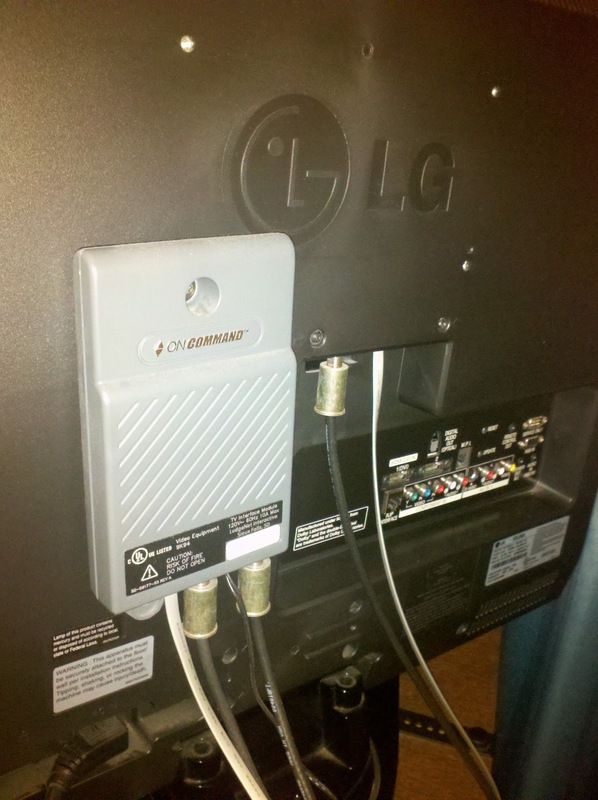 No dice on a Samsung TV model LNR32R5HD where the OnCommand box uses a 2.5mm audio style connector instead of the rj-11 shown above. unplugged the 2.5mm connector as well as the power brick for the OnCommand box, no luck. oh well..
saved my last minute trip w/ my husband to Miami... my 11mo old and I are stuck in a room while his handling business the next few days! THANK YOU a THOUSAND THANK YOUs! Worked for me! I was ready to move to another hotel! Worked great on an LG at the Marriott in Baltimore! Thanks for the great tip. Now I can actually watch the content I have already paid for, instead of the over-priced hotel selections. I'm at my hotel has a LG TV with no buttons on it and uses a "clean remote" anyone know how to set he hdmi for my ps4?? Thanks so much! I disconnected the m.p.i. cable (black) from a lg tv at a marriott to get my dvd player to work. Still works 5 years later, the blog post that keeps on giving! Got my PS4 up and running on a hotel tv after they wanted to charge me an av fee of $10! Unfortunately doesn't work in a Samsung tv in the apartment hotel in Montreal, disconnecting the rj-11 only makea the channel reset to their on demand ad and all buttons in Tv stop working not only menu and source. This guy is a hero. LG TV at the sandman inn in Edmonton, worked like a dream and now I have PS4. Staying at a Marriott in FL and tv has no box, also the inputs change but screen says no signal. 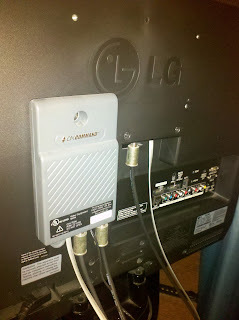 The only thing attached to the back of the tv is the power cord and the white cable cord. Staff said it is because my PS3 is non compatible. Stupid people. Yes it is. They won't fix, can you help? Please. Thanks! Brought my PS4 only to find that the input button didn't work on the remote. Couldn't find any buttons on the TV either but after searching, I found a tiny button under the LG logo. Unplugging the phone jack and then messing with that little button worked like a charm. You saved my vacation. Thank you so much !!!!!! We are at embassy suites in Napa, CA, and unplugging the phone cord worked! We changed the input on the tv console. And now we're watching the movies we want. Again, thank you so much!